April 10, 2018 | Laurel, MD Active Physical Therapy Services has announced its acquisition of Rehabilitation Services of Greater Washington. Offit Kurman Business Law and Transactions attorneys Michael N. Mercurio, Glenn Solomon, and Dan Hofherr represented Active Physical Therapy throughout the acquisition. The deal is the second one the team has completed in April, signaling the beginning of what the firm anticipates to be its largest M&A year yet. 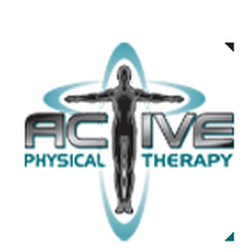 Active Physical Therapy is a physical therapy and rehabilitation provider with seven clinics in Maryland: Clinton, Frederick, Gaithersburg/Germantown, Glen Burnie, Hagerstown, Hyattsville/Takoma Park, Laurel, Oxon Hill / Temple Hills, Prince Frederick, and Waldorf. Through its acquisition of Rehabilitation Services of Greater Washington, the company has gained three more locations in Maryland: Rockville, Silver Spring, and Greenbelt. Offit Kurman offers comprehensive legal services for individuals and organizations seeking to grow their businesses during every stage of the business life cycle. The firm has successfully advised and represented health care providers and other business clients in formation, contract, compensation, and finance and capital matters, as well as ownership transitions through mergers, acquisitions, and other transactions and agreements. With offices throughout the Mid-Atlantic, Offit Kurman is well-positioned to meet the needs of Maryland’s enterprising health care community, as well as businesses in various industries in the surrounding regions. To contact Mr. Mercurio, click here. For more M&A and Offit Kurman content, including videos, click here or visit offitkurman.com.